Lou Dawg’s has closed its Gerrard Street location, a beloved southern barbecue restaurant and bar steps from Ryerson, due to a rent increase. 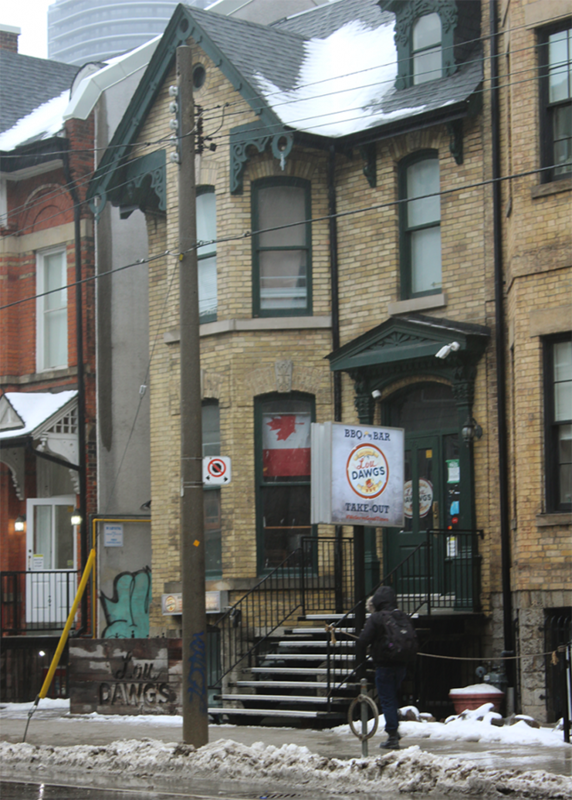 The bar, located at 76 Gerrard St. E, served up poutines and pints for seven years. It was the chain’s only Toronto location and a hotspot for Ryerson community members. Sean Smith, one of the co-founders of Lou Dawg’s, said they decided to close the restaurant since their landlord was planning on nearly doubling their rent. He said the minimum wage hike, rising property taxes and construction on Gerrard Street have all affected the business over the years. Smith and his business partner, Daryl D’Souza, said the Lou Dawg’s closure is one “casualty” of the area’s recent development boom. Down the street, on the corner of Gerrard and Yonge streets, a number of businesses have closed to make room for an 85-storey condo. New high-rises on Church Street, which house restaurants including A&W and Assembli, have also opened up in recent months. The pair created the Lou Dawg’s brand in 2009 when they opened their first location on King Street, which has since closed. Three years later they opened the Gerrard Street location. 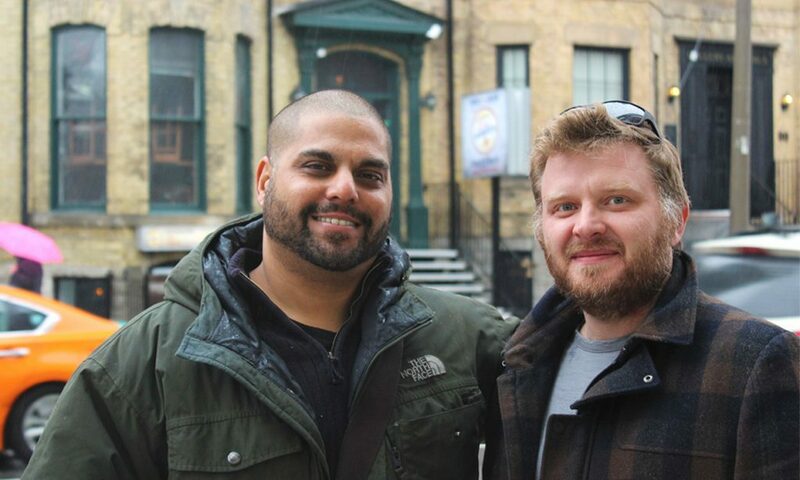 Daryl D’Souza and Sean Smith, the co-founders of Lou Dawg’s, outside their Gerrard Street location on Jan. 23 which has been closed due to rent hikes (Victoria McMurchy/Ryersonian). As a marketing professor at Ryerson, D’Souza often teaches students about his experience with Lou Dawg’s as a case study for building a brand and business. “It used to be great to tell my students, ‘See for yourself, go see the staff, go hear the music and feel what a soulful brand feels like,’” he said. D’Souza said his relationship with Ryerson encouraged him to continue to develop his brand and open more locations. Lou Dawg’s Ryerson located at 72 Gerrard St. E was a hot spot for Ryerson community members (Victoria McMurchy/Ryersonian). Smith said the spirit of Lou Dawg’s is what kept customers coming back. “We always create a family atmosphere because of how much we love each other as a staff — that’s why all of the customers are regulars. Everybody is one big community,” he added. Angela Ye was hired on as a server and bartender at Lou Dawg’s in September. She agrees the community is what drew her in — which makes its sudden closure that much harder. Geordan Cox, a fifth-year aerospace engineering student at Ryerson, has been going to Lou Dawg’s a couple times a month since his first year. While the bar has become a staple for the Ryerson community, D’Souza and Smith said they have no plans to open another location in Toronto. But they are looking into franchising opportunities in other cities in Ontario and across Canada. There are still Lou Dawg’s locations in Hamilton, London and Waterloo. Crappy overpriced food and drink. Always dirty. Good riddance. A better place will open here!